The University of Kent has a rich heritage of computer science that stretches back to the 1960s. In that time Kent has been innovative in its research and development, while teaching the next generation of computer scientists. 2014 - Makerspace opens. The Shed, equipped with a 3D printer and laser cutter opens for student makers. 2013 - a century of placement students. For the first time over 100 students gain a successful paid industrial placement during their studies. 2011 - starts working with Cisco in California to provide Year in Industry opportunities for the School of Computing students. 2007 - placement exchange programme with City University of Hong Kong. Since then two of our students go to Hong Kong and work for a big company, such as HSBC, every year. 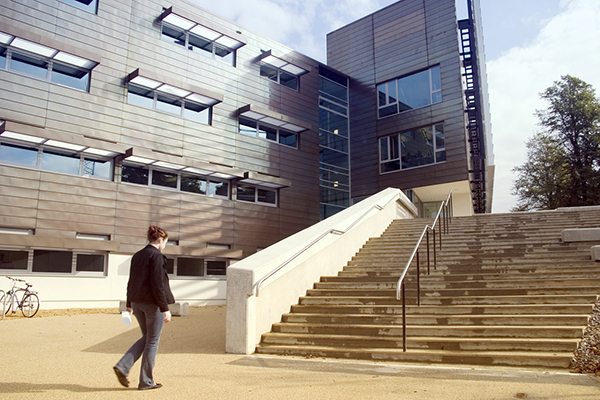 2005 - University of Kent at Medway opens The first students arrive at the new UKM campus at Chatham Maritime, and Kent's first buildings at the Medway campus are completed. 2005 - KITC Launches Launch of the KITC, which provides students with experience of consultancy whilst studying. 1998 - Kent becomes Authorised Academic Java Campus Kent becomes the first European university to be recognised as an Authorised Academic Java Campus, reflecting the University's position as a 'first-tier' university in Computer Science. 1995 - all systems now UNIX based, VAX/VMS retired. EUnet GB sold to PSINet for $4m. 1994 - 10 Mbit SuperJANET link installed by BT. FDDI backbone complete and Cambridge Ring retired. 1990 - Planning starts to replace Cambridge Ring network with fibre (FDDI). Local Ethernets in use. 1989 - Meiko at Kent becomes first networked parallel computing infrastructure. 1987 - Formal opening of Computer Laboratory Her Majesty the Queen formally opens the Computer Laboratory extension. Faculty of Information Technology created. UKnet appears, customers charged. Meiko Computing Surface installed with 32 T800 transputers Kent's X.25 link gone following October hurricane. 1979 - Cambridge Ring Network installed; replacing remote serial terminals. First UUCP emails in UK; email link to Bell Labs (US). 1977 - EPSS (packet-switching) goes public. 1976 - UNIX makes appearance at Kent. ICL 2960 machine installed running VME/K, 2 MB memory, 8 x 100 MB disks, 2 tape drives, card reader and printer. 1974 - Collapse of the Cornwallis building The south west corner of Cornwallis which housed the Computing Laboratory collapses after the railway tunnel it was built over, subsides. Facilities for computing briefly interrupted. The building was made safe, rebuilt and extended. 1969 - NCR-Elliott 4100 (ICL 4100) is installed running ICL batch and the locally developed Kent On-Line System (KOS). 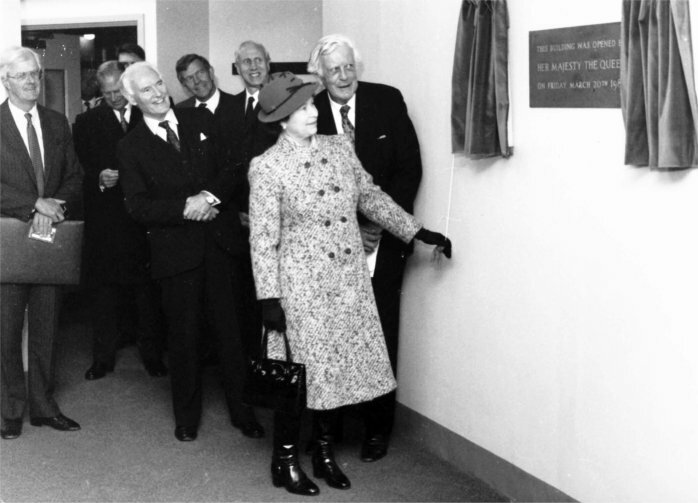 1968 - Opening of the Cornwallis Building, which housed the new 'Computing Laboratory'. 1966 - University acquires its first computer, a second-hand Elliott 803, installed in the Physics department. 1965 - University is Founded In 1965 the University of Kent is granted a Royal Charter and the first undergraduates arrive.